Everybody loves pizza. Whether you’re keeping it simple with a plain old New York slice, getting wild with a Chicago deep-dish loaded with vegetables and meats, or enjoying a healthier California-style pizza topped with chicken and broccoli, you’re in heaven. That’s how many slices Americans order every second. You can order pizza from space. Yes, you read that right. In 2001, Pizza Hut was sent to the International Space Station (ISS) onboard a resupply rocket. 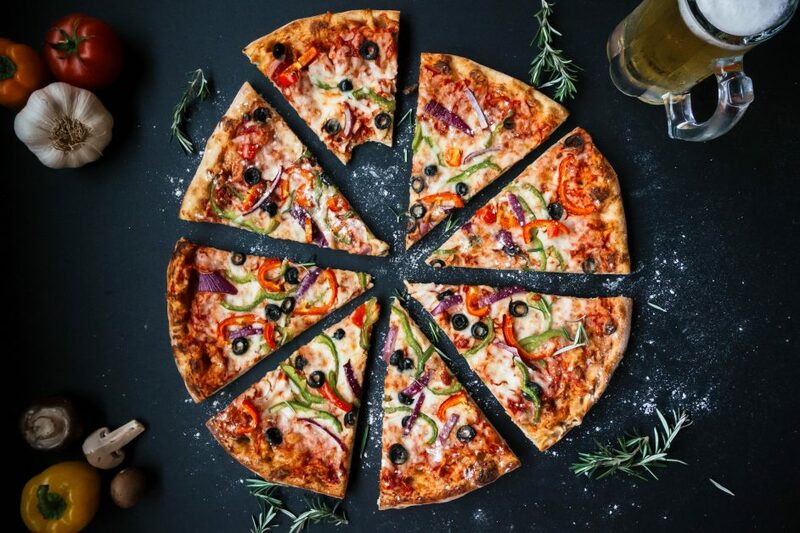 Most people think pizza originated with the Italians, but Greeks and Egyptians were actually making some derivative of pizza in ancient times. Have you ever wondered why pizzas are round and boxes are square? It’s because square boxes are cheaper to mass produce than round ones. A popular day for pizza. Hawaiian pizza isn’t really Hawaiian. In fact, it’s actually a Canadian creation. The pineapple pie was created by Sam Panopolous at Satellite Restaurant in Chatham, Ontario. The most expensive pizza pie ever made was the $12,000 Louis XIII pie. In the 1800’s, many Italians thought pizza was for peasants. But that changed when a baker made a margarita pizza for visiting royalty that represented the colors of the Italian flag. Pizza has its own month. In The United States, October has been the National Pizza Month since 1987. Pizza takes hard work. We can thank pizza for 1 million jobs in The United States. Come get delicious pizza at Joseph’s Classic Market! We have all different types of pizzas that we know you will love. So the next time you’re craving a saucy, cheesy, doughy delight, come to our Boca Raton or Palm Beach Gardens location! For questions or catering, contact us today at (561) 347-2314 (Boca) or (561) 779-0322 (PGA).